We're spilling the TEE: $25 Tees HAPPENING NOW! 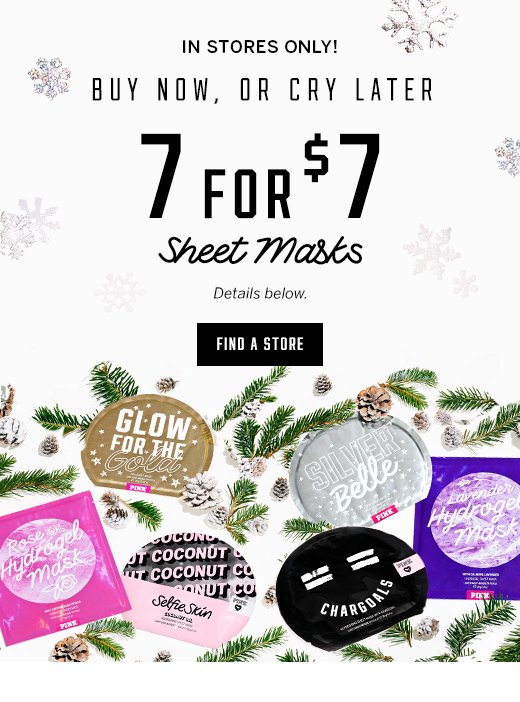 Offer valid December 6, 2018 through December 7, 2018 until 11:59pm ET. In stores and online. While supplies last. Offer valid December 3, 2018 through December 7, 2018 until 11:59pm PT. In stores and online. Includes Yoga and Fleece up to $64.95 value. Excludes Everyday Lounge. While supplies last. TO REDEEM OFFER: Add qualifying in-stock full-priced PINK item(s) totaling $75 USD or more to your shopping bag. Add qualifying in-stock PINK robe (search item number: 358-281 for color choices) to your shopping bag. Enter offer code PINKROBE at checkout. The price of your robe will be adjusted after offer code is applied (one free robe per order). Valid December 3, 2018 through December 7, 2018 at 11:59 pm PT; while supplies last. 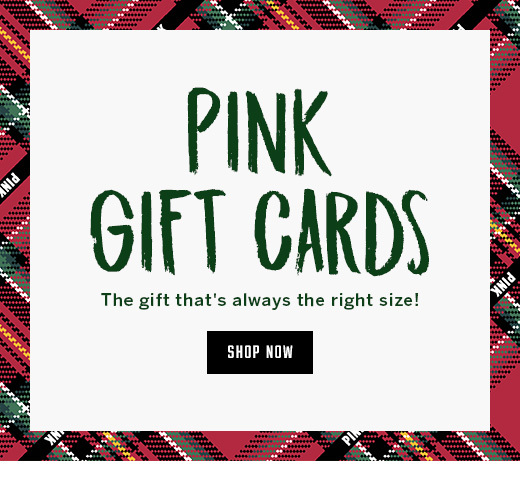 OFFER EXCLUDES THE FOLLOWING: Victoria's Secret Lingerie, Victoria's Secret Beauty, clearance (items with prices ending in $.99), gift cards, gift wrap & kits, store and previous purchases do not qualify toward offer eligibility. Not valid with any other promotional gift with purchase offers. ADDITIONAL OFFER DETAILS: Robe: Cotton; Available in XS, S, M, L; Colors: Red (CVK) and Grey (AS4). No substitutions. Discount cannot be redeemed for cash or used as payment toward your Victoria's Secret Angel Credit Card. Offer subject to adjustment due to returns, cancellations and exchanges. Offer may be modified or discontinued at any time without notice. Offer valid December 6, 2018 through December 7, 2018. In stores only. While supplies last.